When I first moved to the United Kingdom I had a bit of a shock upon seeing a £10 note. Currency in the United States features revered presidents and revolutionary war heroes. 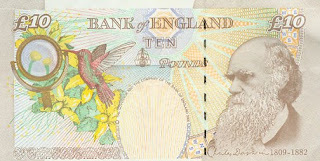 Yet, staring back at me on another country’s official currency was a man reviled by a large section of the American public: Charles Darwin. Given the anti-intellectualism prevalent in America it is difficult to imagine any scientist being given such a place of honour let alone the controversial Darwin. But, in the United Kingdom Darwin is considered a national hero. This year is his 200th birthday and the 150th anniversary of the publication of On the Origin of Species and you could not have thrown a stone in the United Kingdom without hitting a Darwin celebratory event. 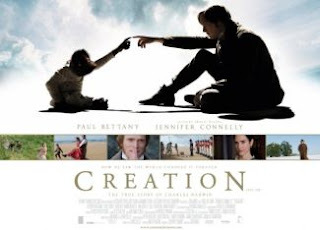 I had the pleasure of recently seeing a new dramatic film about Darwin called Creation. The theater was packed and not just with the traditional art house cinema crowd. People of all ages and backgrounds were there to see a film depicting Darwin’s struggle with his religious belief. The film does a good job showing how Darwin’s religious views were not only shaped by his scientific discoveries but also by his grief over the death of his eldest daughter. This Darwin struggles with the concept of a caring God in a world based on randomness. 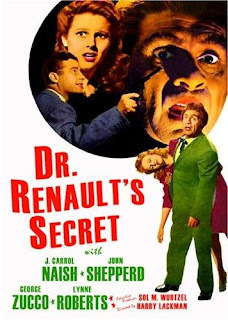 With such a sympathetic depiction of Darwin and a view of evolutionary thought as truth it is not surprising the film had a difficult time finding a U.S. distributor. Not only were distributors afraid of poor box office returns, they were also worried about potential boycotts from religious groups for their other films. Distributors’ concerns about Creation’s marketability are not surprising when we examine the history of cinema in regard to depicting Darwin and evolution. In my academic work I have followed the evolution of how Darwin and evolutionary thought have been depicted in cinema. Darwin’s demonstration of humanity’s link to its primate past was first played for comedic purposes in films of the early twentieth century. 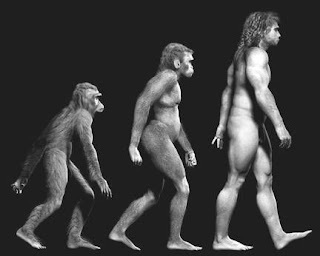 Films such as Reversing Darwin’s Theory (1908), The Monkey Man (1908), and Darwin Was Right (1924) poked fun at those who took Darwin’s evolutionary claims seriously. People who believe they are descended from apes will act like apes. Given the treatment of Darwinian thought in these horror films it is not surprising that Creation faces an uphill battle in American theatres. Which is unfortunate given how well the film depicts Darwin’s conflict with his wife over faith, his struggles concerning his theory’s moral implications, and his disagreements with his colleagues (especially T.H. Huxley). Most importantly, the film humanizes Darwin through his grief. 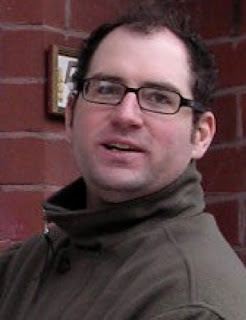 David A. Kirby was a practicing evolutionary geneticist before leaving bench science to become Lecturer in Science Communication Studies at the University of Manchester, UK. Many of his publications address the relationship between cinema, genetics, and biotechnology. He is also exploring the subject of science consultants in Hollywood and has a forthcoming book for MIT Press titled Lab Coats in Hollywood: Scientists’ Impact on Cinema, Cinema’s Impact on Science and Technology.